An incredible video directed by Daito Manabe for Nosaj Thing. 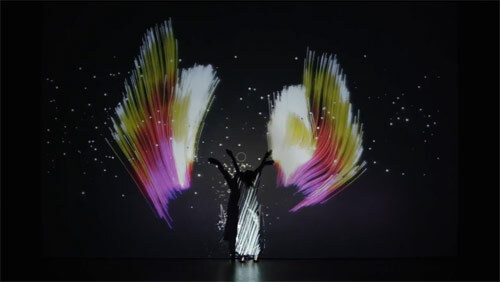 What you are seeing is a live dance performance with projections tracked to the dancers using a high-speed camera. Watch below!